Maytag 20.7 cu.ft. top freezer refrigerator with FreshLock™ crispers. Featuring adjustable glass shelves, automatic moisture control, up-front single knob controls and gallon-plus door bins. Cool Flow™ ventilation, vents in the fresh food and freezer compartments circulate cold air around large items. Total 20.7 cu. ft. / 0.59 cu. 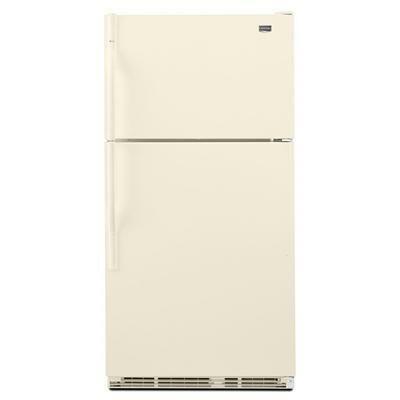 m.
Refrigerator 14.5 cu. ft. / 0.41 cu. m.
Freezer 6.2 cu. ft. / 0.18 cu. m.